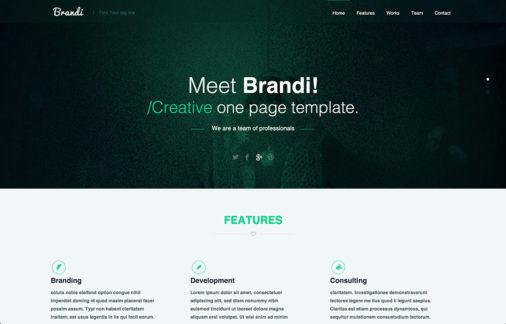 Here are the top free and premium banner templates in PSD and AI formats. 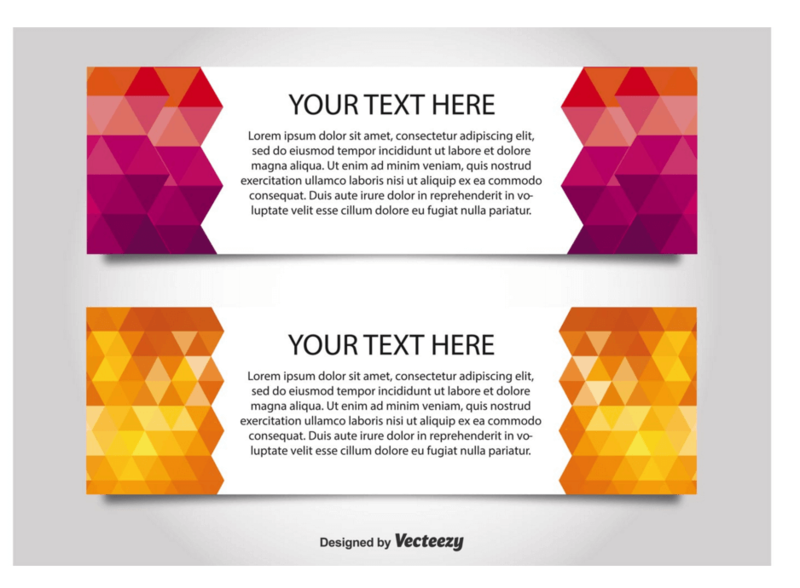 These templates let you create banners for different purposes. Nowadays, banners are mostly associated with advertisements. Banner ads here, banner ads there. Although there’s some truth in that, a banner is also used for many different and definitely good purposes. This includes promoting good causes, giving things away, and generally sending out a message to a wider audience through the use of a visual placeholder. Advertising is native to the web experience. We should not feel ashamed of using banner ads to make extra revenue. 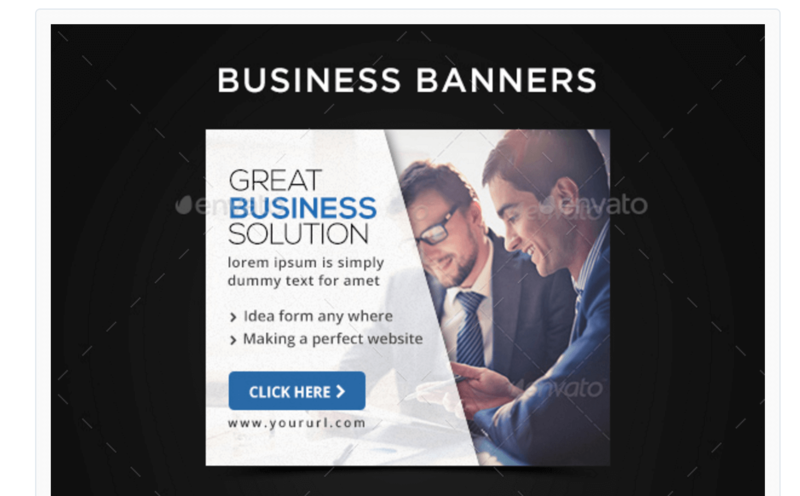 Quite a lot of the banner templates on this list are related to advertising, be it advertising a single product or advertising yourself as a business. The real value comes from the fact that all these downloads offer PSD or AI files that you can easily modify and edit according to your preferences. You can make any banner out there unique with just a few strokes of brushes. Some designers turn to completely unique ways of enriching their designs, as shown in this package. 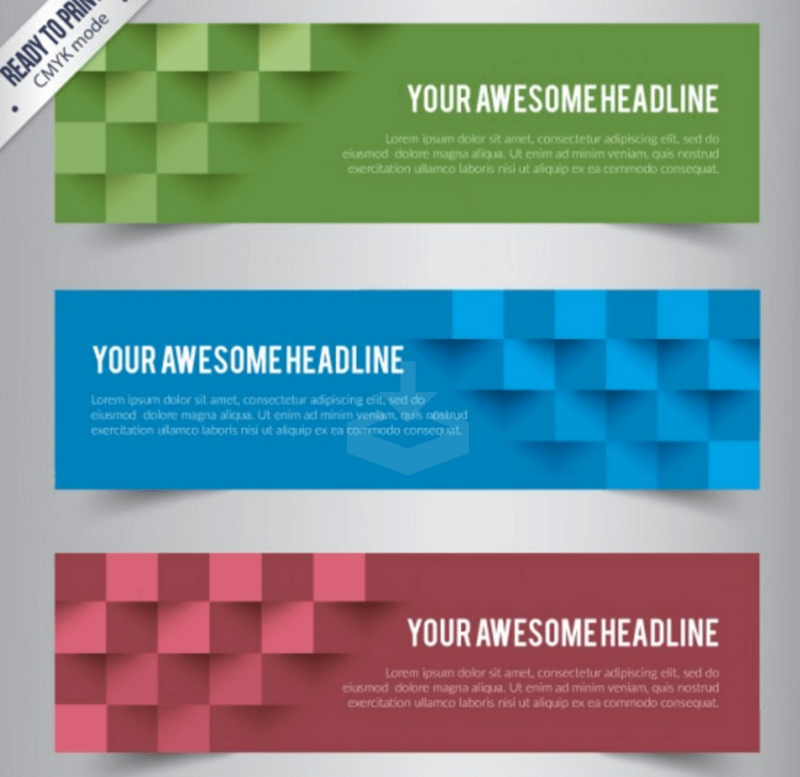 This set of banners uses colorful and abstract cubes to add that creative effect. It somewhat resembles a 3D expression, something that helps to capture even the slightest of attention. This set comes in few different colors right out of the bat, though you can quickly change the overlay colors using Photoshop. 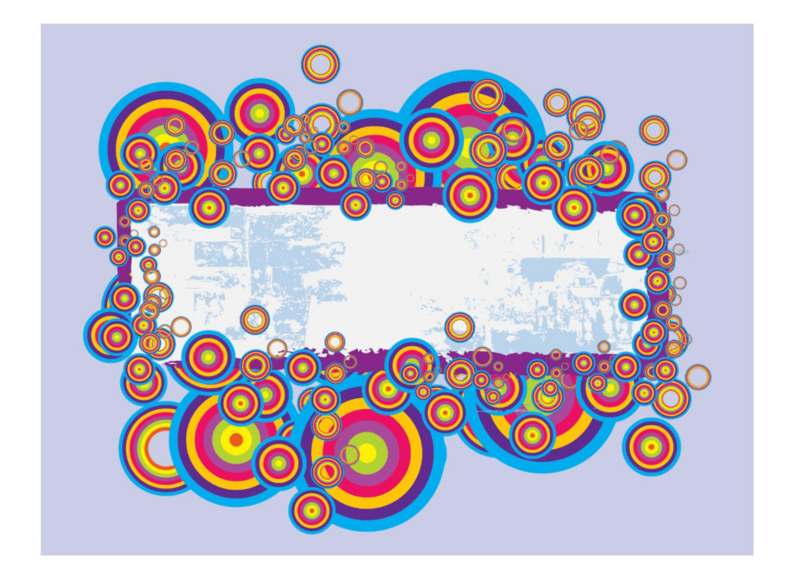 Infographics aren’t just these huge images that have been built in one go, not at all. Infographics are visual executions of tens, or in some cases hundreds, of different visual elements stitched together to create beautiful visuals. 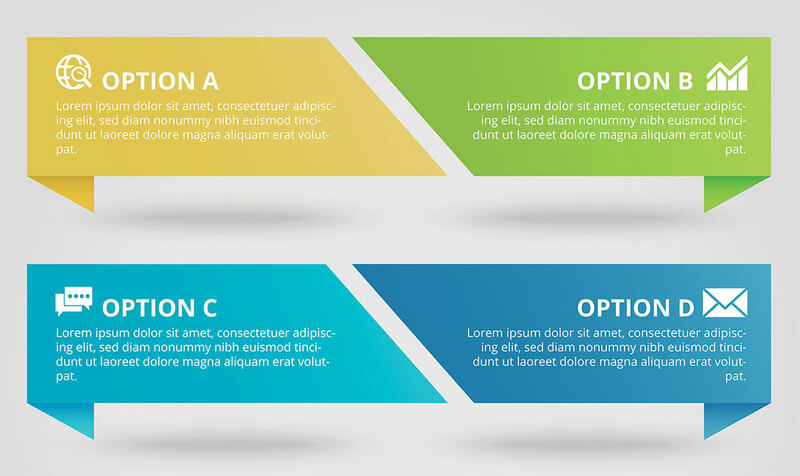 These elements can sometimes be found on the the most popular vector sites and graphic design sites that allow content publishing. 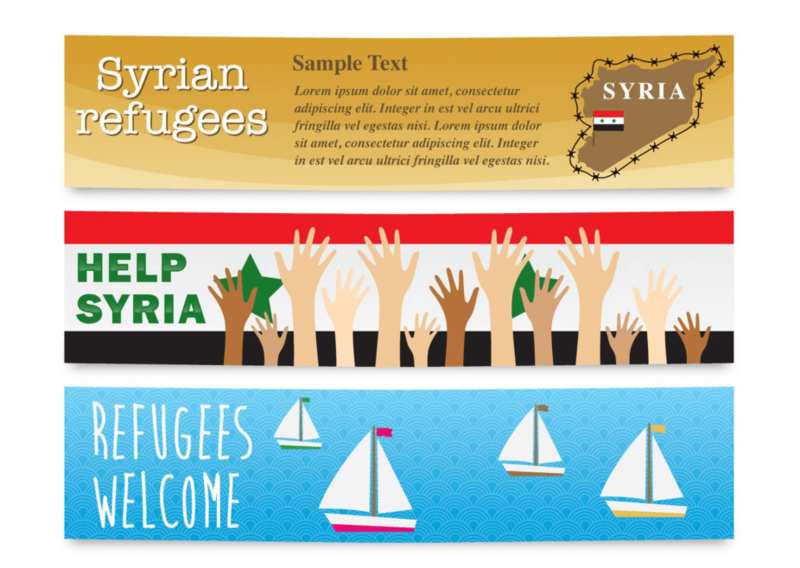 In this set, we are looking at some cute banners from a previously created infographic. 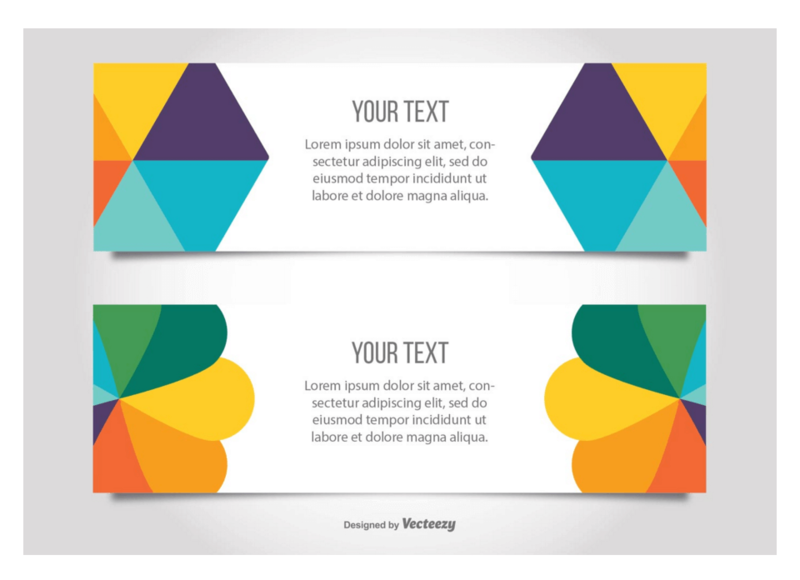 We can use these banners in our own infographic designs or use them for advertising purposes within content areas of our websites. St. Patrick’s Day is a very popular and hugely celebrated holiday in both Ireland and America. On this day, millions of people get together to spend time with their friends and families. There is so much more involved, such as shopping sales, indulging in alcoholic drinks, and more. 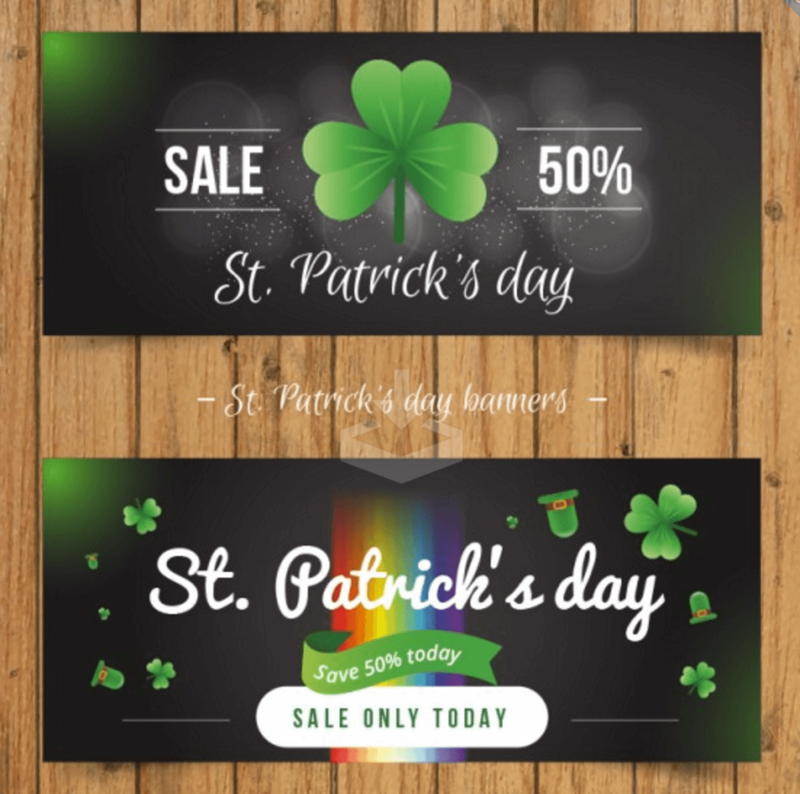 Promote your Patty’s Day offers with these simple promotional banners built specifically for this holiday. Welcome spring with new offers and sale promotions for your customers! It helps to connect with your clients and assure them that no matter which holiday it is, you will still be offering some deals to give back in a sense. These flowery banners will find a good home on websites talking about or selling flowers. You will also find many uses for the print versions of these. Coupons and gift vouchers have grown so much in popularity. Although less talked about in the media, they are still very existent and used by millions of individuals all around the globe. However, it is not that easy to come up with interesting coupon designs on your own. Fortunately, with a little help from the graphics designer community, you can access stunning and artistic banners, such as this one. 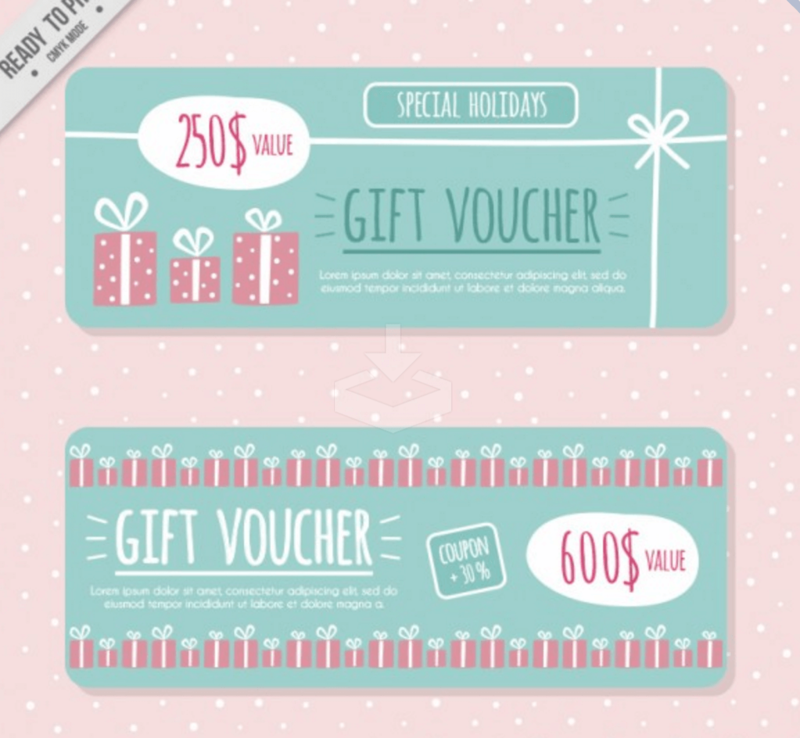 The set offers a coupon banner and a gift voucher banner. Both are print-ready, so you can easily use them for your next special offer. 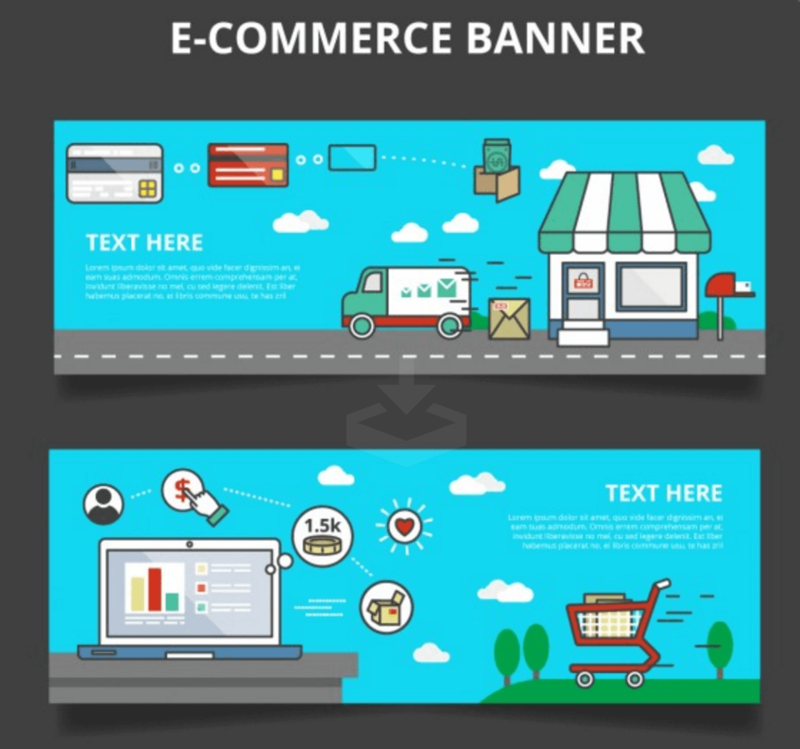 Banners are also very important to the e-commerce business, not just in the form of advertisements but also in doing website-localized offers and promotions. (We have more advertisement-ready banners closer to the end of this post!) With these banners, you can easily advertise a special offer or a promotion. The designs of these banners captures the customers’ attention and arouses curiosity. That is definitely a win. If February is the month of love, March is the month of womanly love! The International Women’s Day falls on March 8. You can give back to the women in your community by congratulating them or by giving promotional offers. 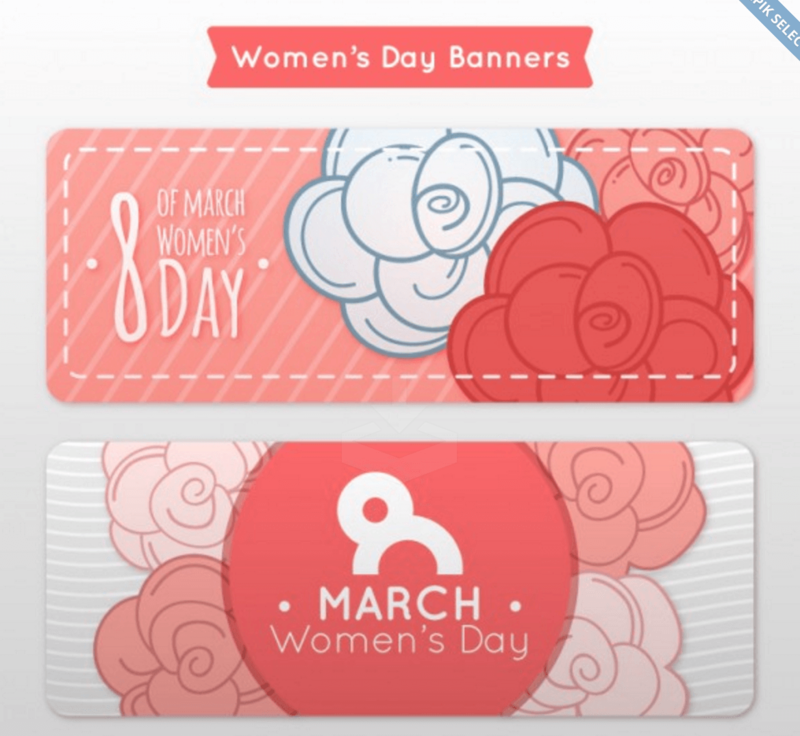 Do this with the help of a banners package built specifically for Women’s Day. In springtime, you can smell the freshness of the air and enjoy festivals. 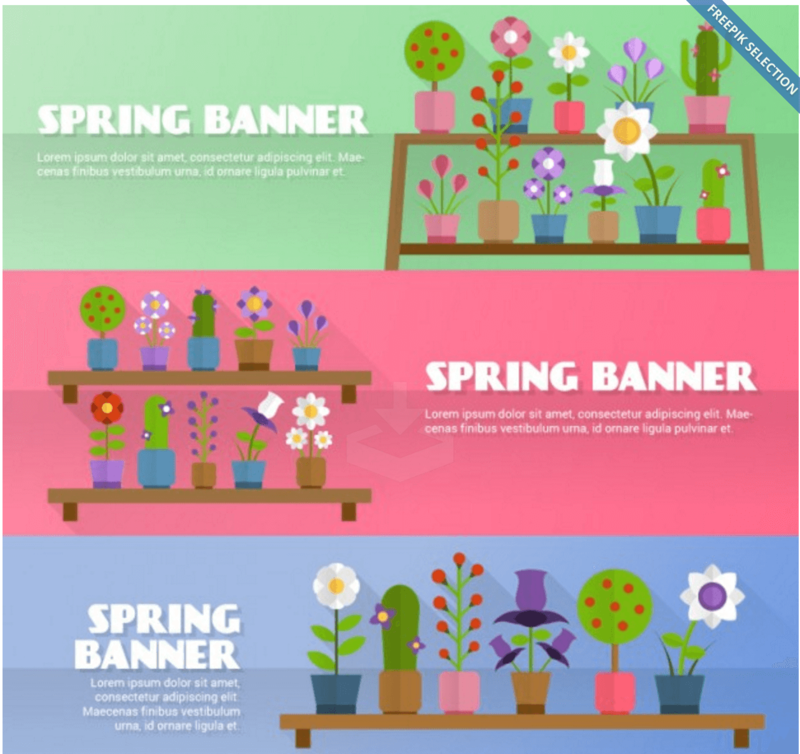 Advertise your spring-related activities with these eye-friendly and winsome banners. 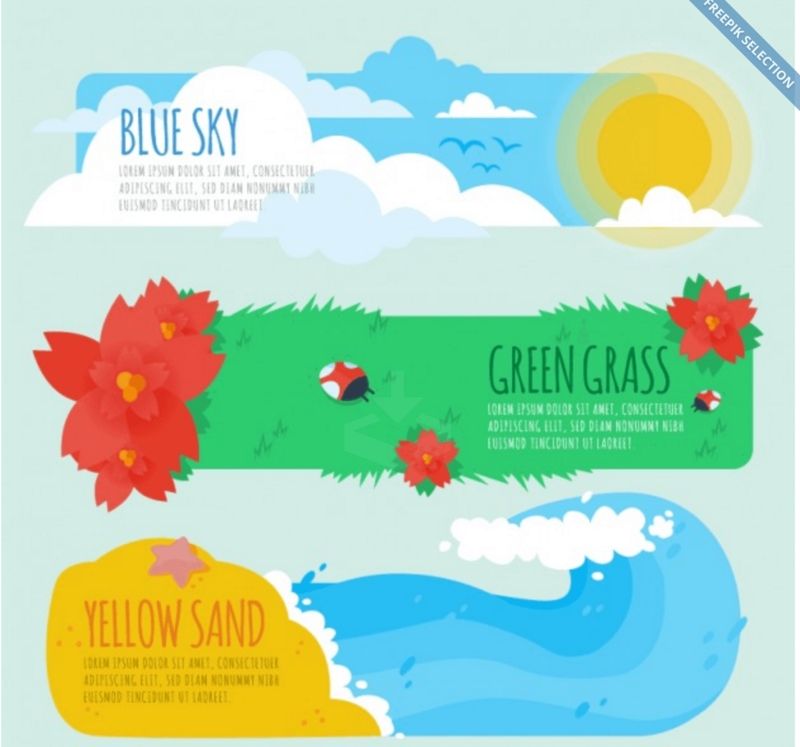 With three different themes—the sky, the grass, and the sea waves, you can promote a variety of activities. We also have another festival-related banner template on the list, so watch for it. New Year and Christmas are two favorite yearly celebrations. 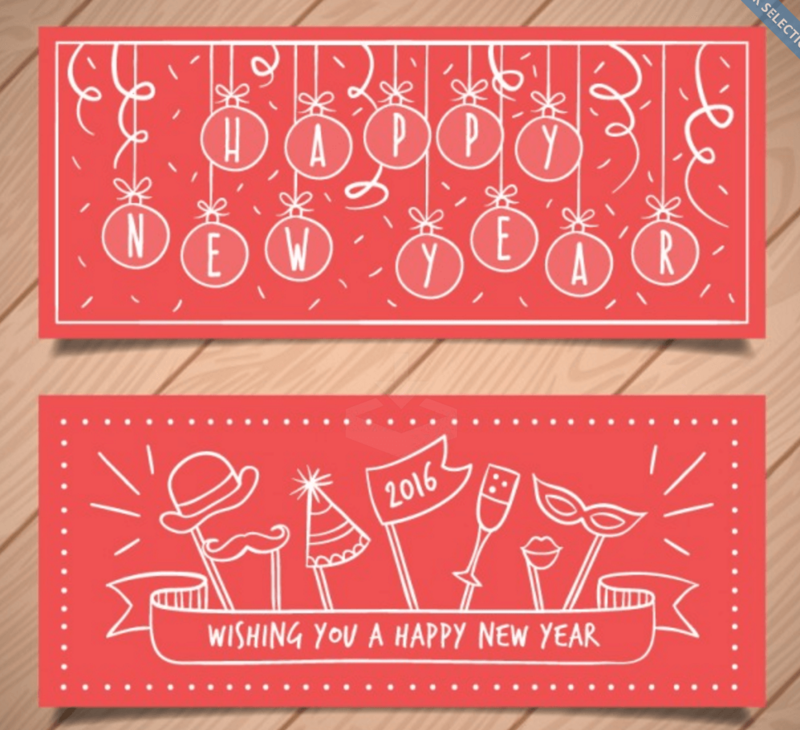 With that in mind, we are going to share some banners related to these holidays, starting with a mellow “Happy New Year” wish banner that can be used on a website as a global greeting to your visitors. You can also print the banner on some carton and put one on every table at your restaurant, for example. 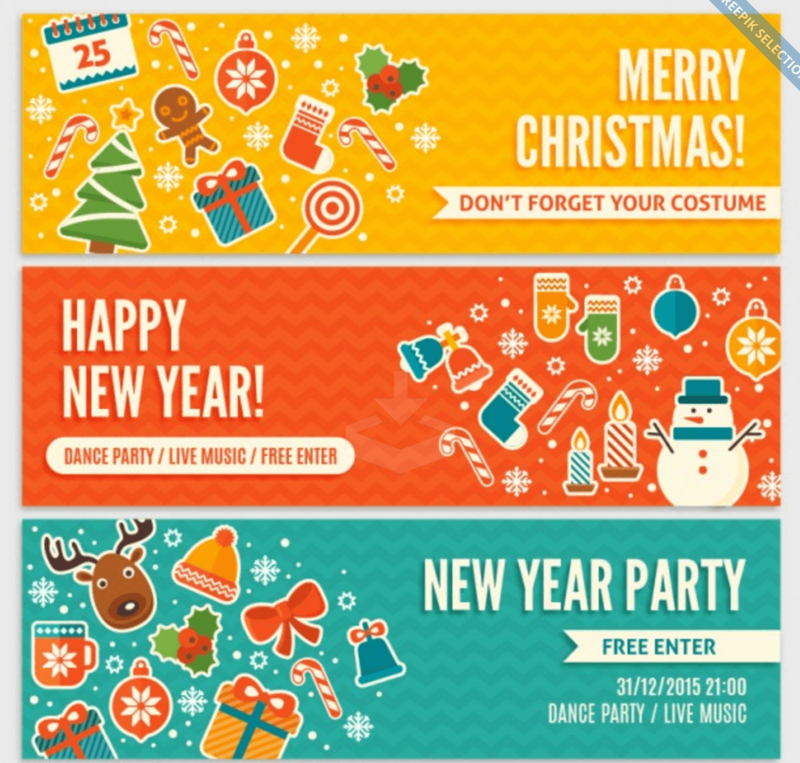 We move on to a set of three unique and cute banners that fall in three categories: Merry Christmas, Happy New Year, and New Year’s Party! All of these can be edited through Photoshop to suit your needs for a traditional holiday greeting or an invitation to your own Christmas or New Year’s event. 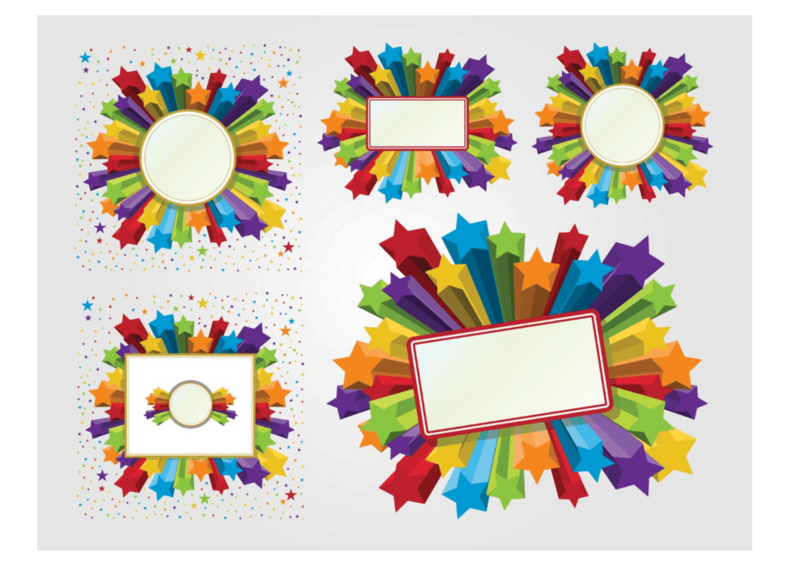 These cute banners will look stunningly amazing on some printed carton. and people will be keen to bring these home to put on their shelves. Note that using these on websites will require attribution to the author due to licensing. Tropical design is just the kind of design that works for so many people, and in so many situations, too. These designs work really well for luxury hotels with beach-oriented activities and promotions or anything that has to do with tropical weather or atmosphere. The banner itself has a little bit of space for text, so perhaps this template is best used in situations where it complements an already existing design. Yes, the word “banner” implies the web and advertising. However, because these templates are so flexible in terms of size, we can easily print them. Well, in this case, we have a set of banners built just for the web, but even then, these would look good as printed material, too! 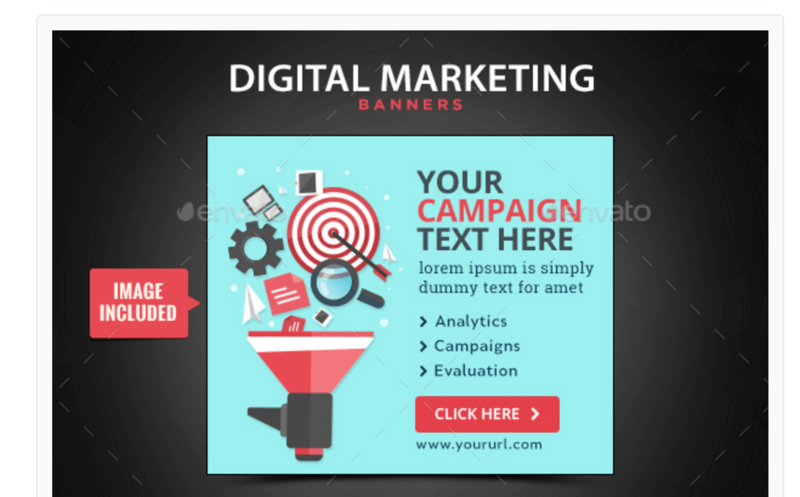 Create simple text-oriented advertisements using these modern and stylish web banners. Yay! Here we are presented with a nice set of six banners for summertime activities. 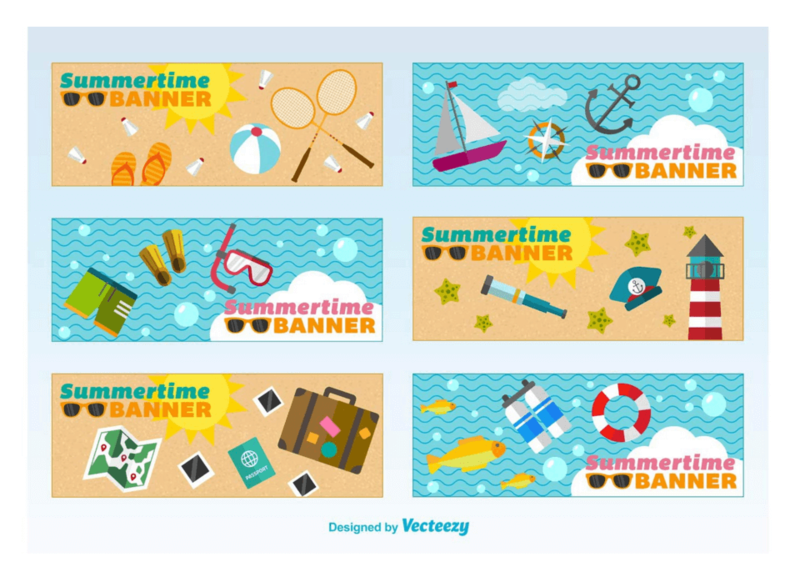 Be it traveling, fishing, volleyball, or other beach activities, these banners are themed in such a way that they will find good use for promoting and advertising summer-related activities. You can also use these banners as background schemes for your actual promotions. These colorful and modern banners are another example of how modern web design can be used to build different variations of an already established design. 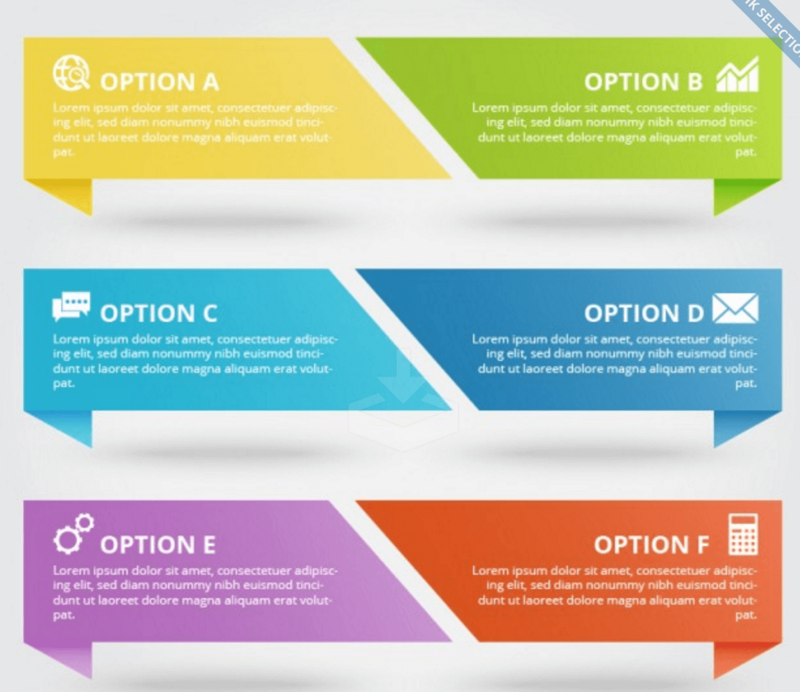 You can apply new and unique variations to different styles of web designs. Another option to go for printed physical cards to promote, advertise, and offer products and services. Andra04 shares with the Eezy community a set of minimal vector banners that you can use for all your commercial and noncommercial ideas, website portfolios, print-oriented tasks, or anything else where a set of minimal banners would complement an already existing design set. In some cases, these banners could actually act as “buttons” for navigating a design or something of that sorts. Are you the owner of a pub, perhaps a bar? Given how modern these banners look, even a nightclub in Las Vegas could take advantage of these banners to promote drinks, parties, happy hours, the barman, the most exciting cocktails, and more. 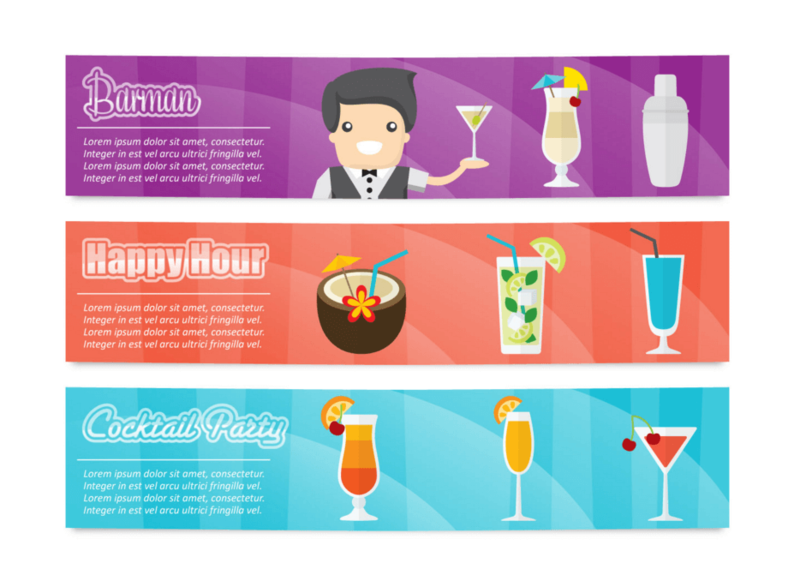 The set consists of three different banner styles, all of which are aimed at promoting all the good things that you find inside of a bar or a nightclub. We have done some heavy work on table templates here at Colorlib. 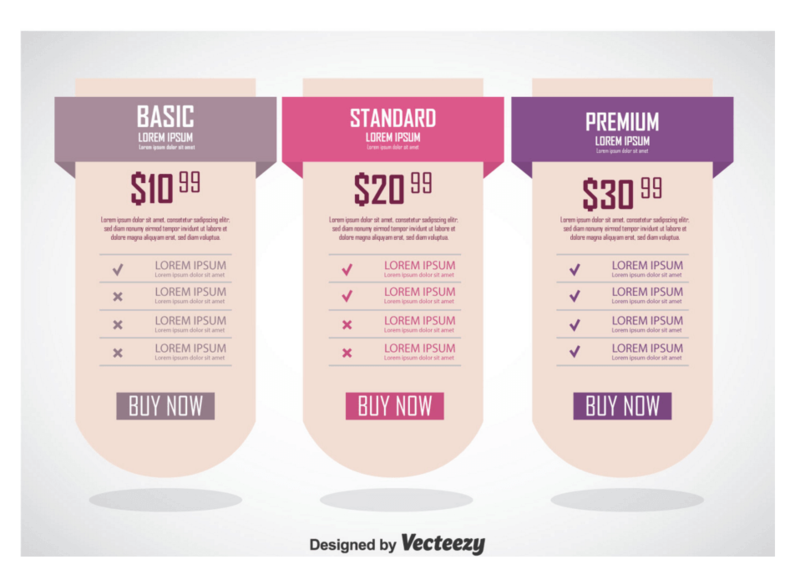 We have more of that here by showcasing this endearing pricing table banner that will need to consist of hardened values as far as features and the actual price go. The design is irresistible and will work in pristine harmony with your other aspects of the design. A little starburst can go a long way, right? Well, these explosions of rainbow colors are definitely an appealing bunch. The starbursts help frame your logos, text ads, visual content, etc. There are banners for everything these days, yes, even baby showers! And why not? It’s a milestone in one’s life, and so making it special is only natural. 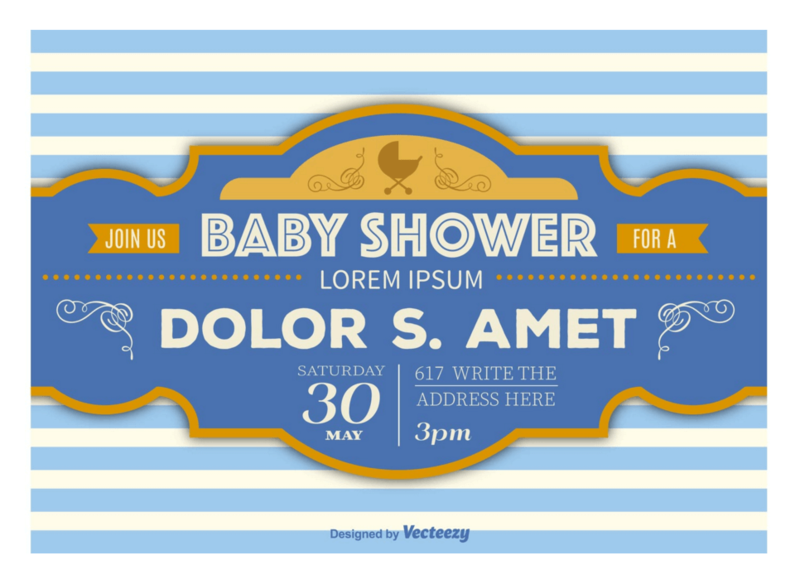 The banner here helps to announce your baby shower details using a retro-style design concept. You can use the banner in a digital format to invite all your friends through email. Another way is to use the print version to send out hard copies to your dearest and closest friends. It’s amazing what technology is able to do for the modern human, and this banner shows just that. 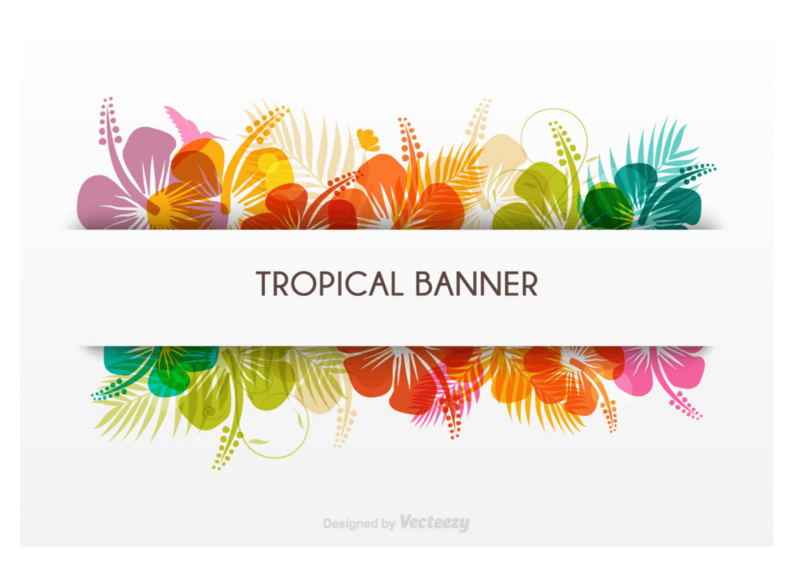 Versatile Rainbow Banner will work best in cases where you want to put a full frame around an already existing element, be it visual or in other formats, such as text. The purpose of Versatile Rainbow Banner is to add a creative, artistic, and loud frame to your design. Girls, this one’s for you and your Tumblr blogs! 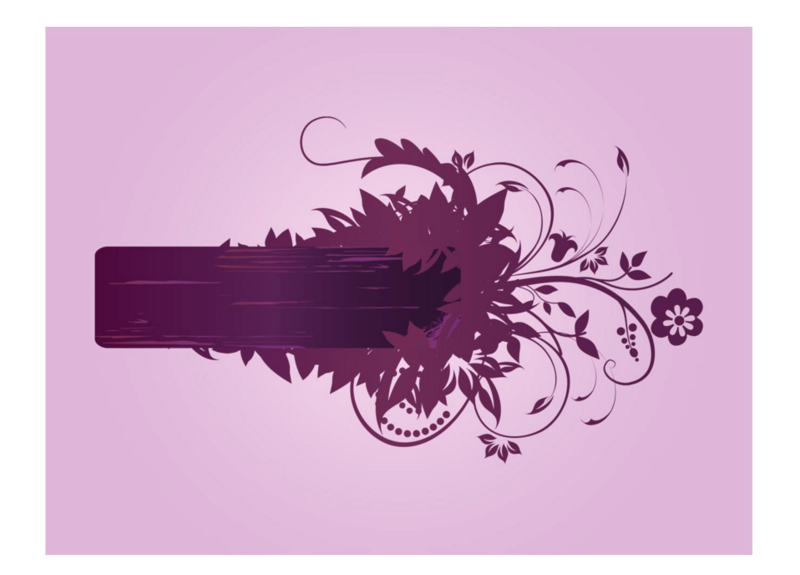 Use this flower-themed vector banner to talk about yourself or anything that’s close to your heart. It’s a beautiful floral design that will make a statement about your girly passions. What a lovely selection of banners so far! In true Colorlib tradition, we move on to the premium module. The premium stuff always comes from the same marketplace but different designers (sometimes a few designs from the same one). The difference between free and premium, first of all, is the price. More than that, there’s the quality, the ability to get support from the author, and access to community input for making adjustments to any future releases. Premium content also tends to have a little more meat on it in terms of flexibility and available file formats. We will let you decide which banner you like the most. At the end of the day, it comes down, not to the price, but to the function that you require to be fulfilled through the use of a banner. The following banners are more oriented toward real advertising through platforms such as Google AdWords. These will not necessarily be great banners to use for print purposes, though. All the following banners come in packages that offer more than a dozen different available sizes, from tiny rectangles to full-page banners. 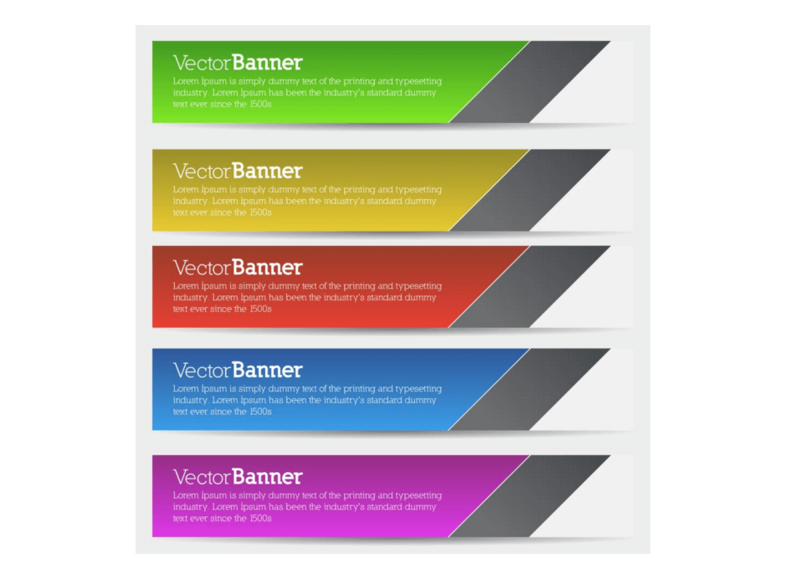 This lovely set of 18 unique banners is for the purpose of advertising online services from agencies and small businesses. The banner is split in three different parts: background, service purpose, and the “order now” button. They have been optimized for AdWords, and all the fonts used in the banners are from free markets. Do you need to promote your business, be it in the form of a company or yourself as an individual? These sleek, modern-looking banners are all for business-related advertising projects. The PSD files for each banner are available, and you’re in full control of how they look by the time you’re done with them! Sometimes, all you need is just a banner to help promote or sell a single product. This is why we recommend the “Product Sale Banners” package so much. It’s a stunning visual design for a banner that lets you frame your one product within a square box to really give it emphasis. The demo banner uses a shoe, but it could be anything. You are in control of the end result by being able to edit all the PSD files. Hotels are some of the most well-spending industries in the online marketing industry. They have to work hard to gain and attract new customers, especially when the hotel is located thousands of miles away from the target audience. Trying to lure in new customers with outdated banners is not going to work! 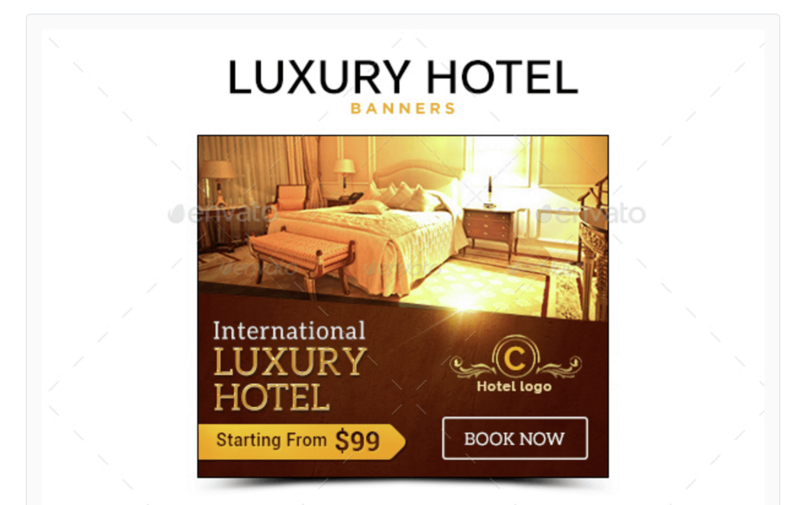 So, here is a package of luxury banners built just for one purpose—to help promote hotels, hotel rooms, and hotel offers. These show a great execution of dark and creamy colors that flow really well together and create a presentable visual experience. Get ready for an influx of customers! Whereas hotels have to worry about physical customers, web hosting companies are all about digital customers. Both are huge spenders in the advertising field as both have a ton of competition to deal with. Web hosting companies need to watch out these days as more and more cloud services are opening doors to customers and offering cheap and reliable hosting services that shared hosting companies will have a hard time matching. 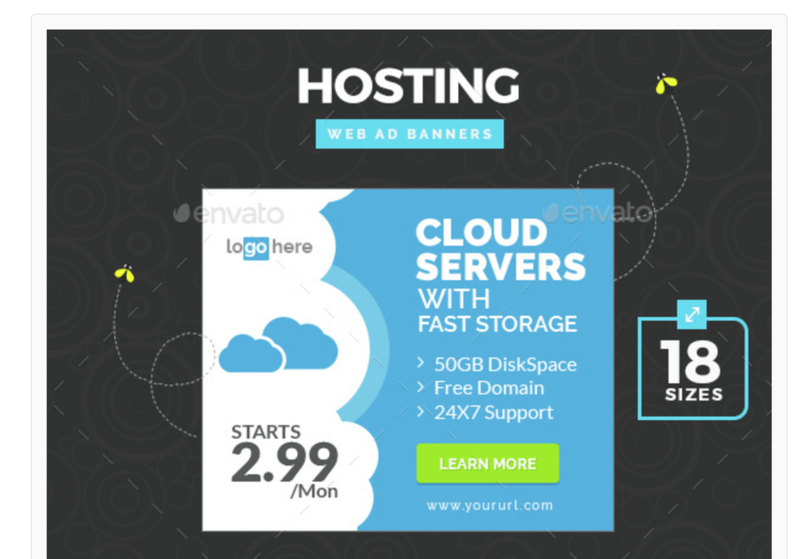 This hosting banners package is, of course, built with cloud offers in mind since that is the best performing hosting solution out there. This is a great selection of banners for all kinds of situations, even Facebook Ads if you need the appropriate size of banners. 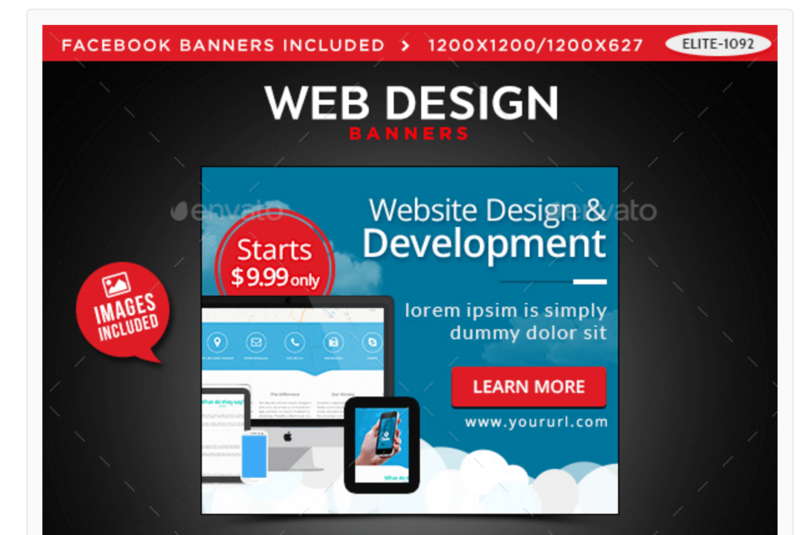 Are you running a web design company but don’t have the time to create your own banner? Perhaps you need a banner for a client? 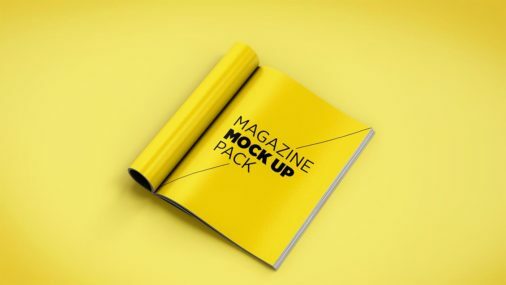 Whatever the case, use this amazing package that’s going to be helpful in promoting all services related to design, development, and project management. 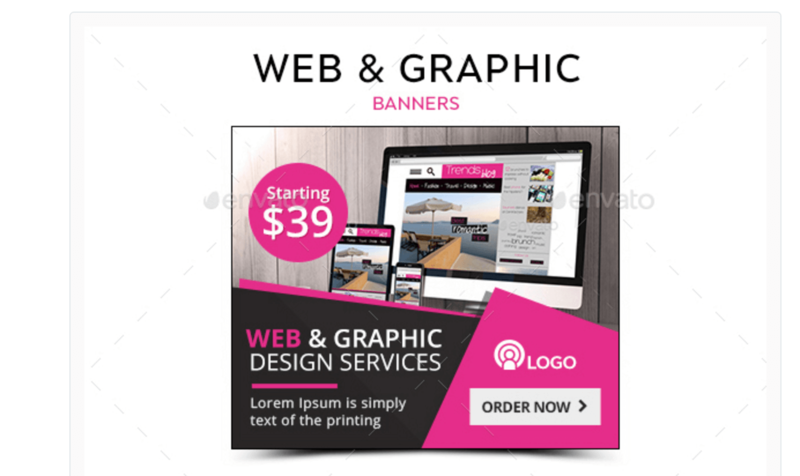 We have a beautiful set of banners to offer to digital marketing companies if you are looking to promote your platform or services with the use of a modern banner. This modern banner can also help you discuss your most crucial business aspect points and how you can help others to better their business through the use of your services. Lastly, we have the sports banners! 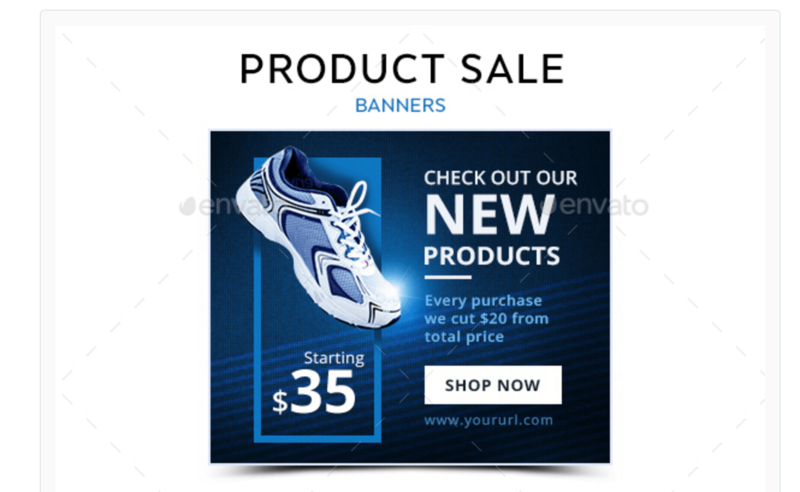 Here’s a selection of banners that will find the best use for situations where you would like to advertise your sports offers, be it for running gears, gym memberships, or selling special drinks. 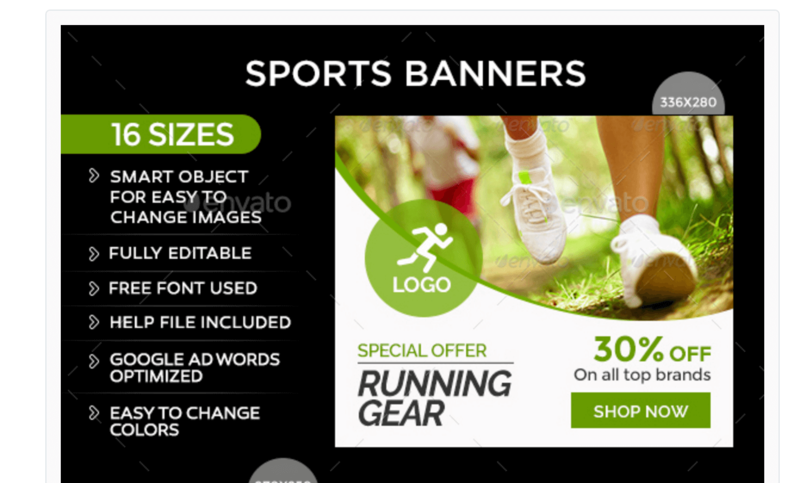 All the banners in this package are all about sports, and you will love these ones! I’m looking for a banner for Web Design & Development. So lucky when I read this post.